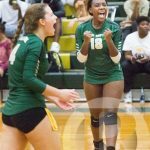 Girls Junior Varsity Volleyball, Girls Varsity Volleyball · Oct 27 Chargers will Play Carrboro! 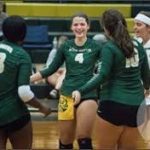 Girls Junior Varsity Volleyball, Girls Varsity Volleyball · Oct 27 Chargers Make 4th Round! Girls Junior Varsity Volleyball, Girls Varsity Volleyball · Oct 26 On to the 4th Round! Girls Junior Varsity Volleyball, Girls Varsity Volleyball · Oct 25 Lady Chargers will host 3rd Round! 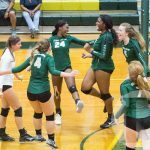 Girls Junior Varsity Volleyball, Girls Varsity Volleyball · Oct 25 Lady Chargers Advance! Girls Junior Varsity Volleyball, Girls Varsity Volleyball · Oct 23 Chargers Host First Flight in 2nd Round! 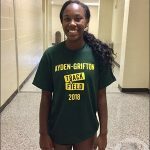 The Ayden-Grifton Charger Volleyball team will host First Flight HS in the NCHSAA playoffs 2nd Round on Tuesday October 24th at 6 pm. Admission is $7 and only NCHSAA Passes will be accepted. Come out and support the Lady Chargers! Girls Junior Varsity Volleyball, Girls Varsity Volleyball · Oct 23 Volleyball Advances to 2nd Round! 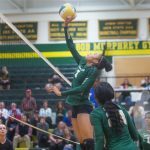 Girls Junior Varsity Volleyball, Girls Varsity Volleyball · Oct 19 AG Volleyball host 1st Round! 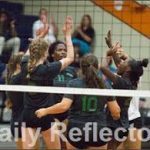 The Ayden-Grifton Varsity Volleyball team (#4 Seed) will host Durham School of the Arts (#29 Seed) in the 2A NCHSAA Playoffs this Saturday at 2 pm in the Bob Murphrey Gymnasium at Ayden-Grifton High School. Please come out and support these young ladies on their drive for a State Championship! Girls Junior Varsity Volleyball, Girls Varsity Volleyball · Oct 18 AG Volleyball Wins Conference Championship!